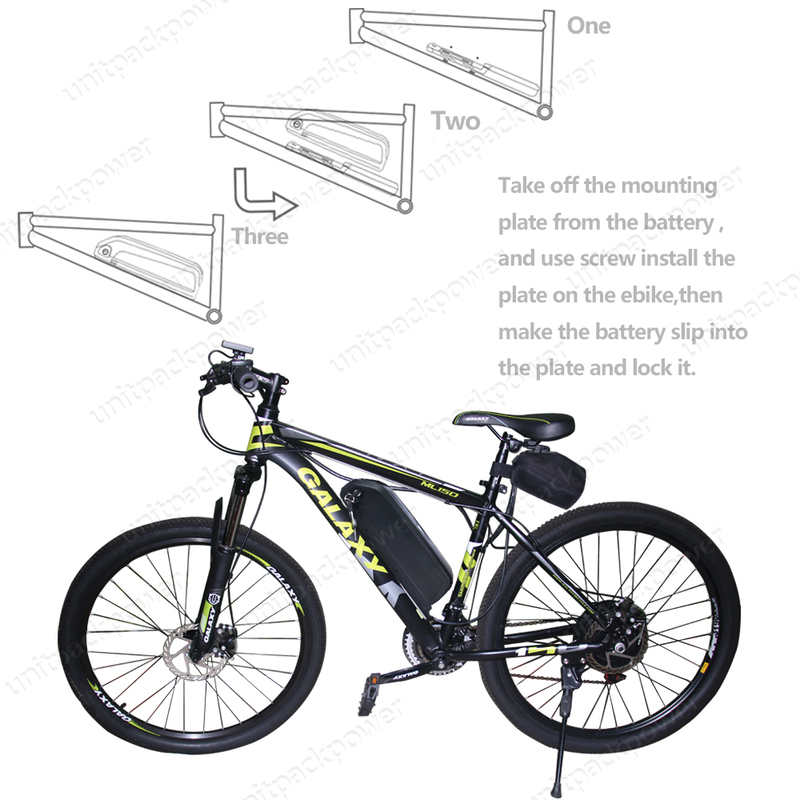 Home / Parts & Kits / BBSHD 1500 Watt Electric Bike Conversion 52v 20Ah Triangle ABS waterproof tough battery. 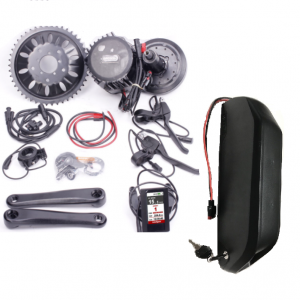 BBSHD 1500 Watt Electric Bike Conversion 52v 20Ah Triangle ABS waterproof tough battery. 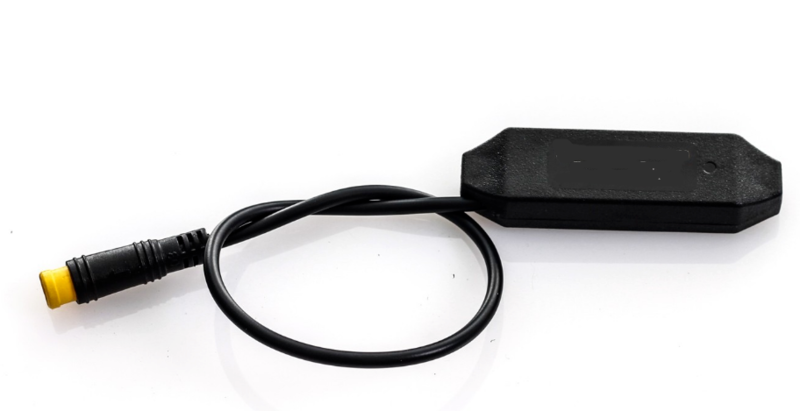 Bafang BBSHD 1500 watts Very latest Kit with Colour Display, DPC18 and Gear Sensor + 52v 20Ah 60 Tough waterproof Triangle batter Battery UK Stock. 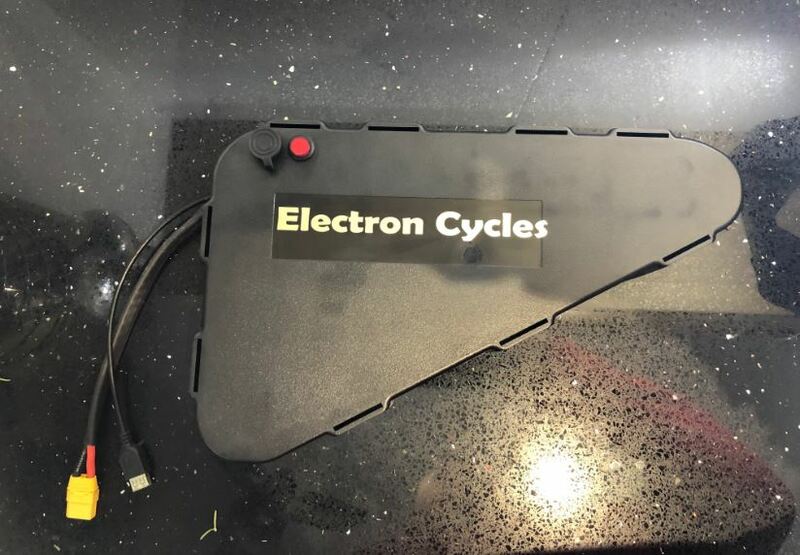 Reprogrammed by us to 1740 Watts max and Superior PAS settings with the truly Amazing 52V 20Ah Triangle ABS Plastic Watertight Toughened Triangle Battery – the best performance for money big Ah factory made, hard shell triangle battery! 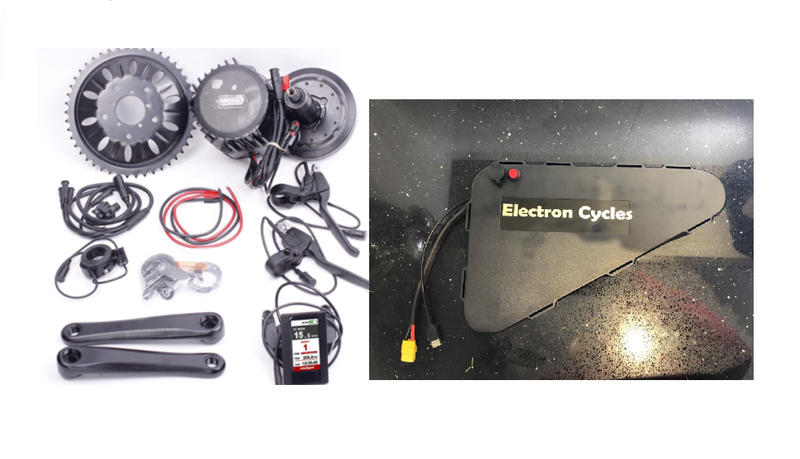 (BBSHD Mid Drive kit is light but strong and unprecedented levels of engineering (Rated 1000W – 1750W dependent on setting and have a proven to work reliably at 2500Watts) and Max Torque 160 NM) More efficient than HUB motors giving greater distance and response. 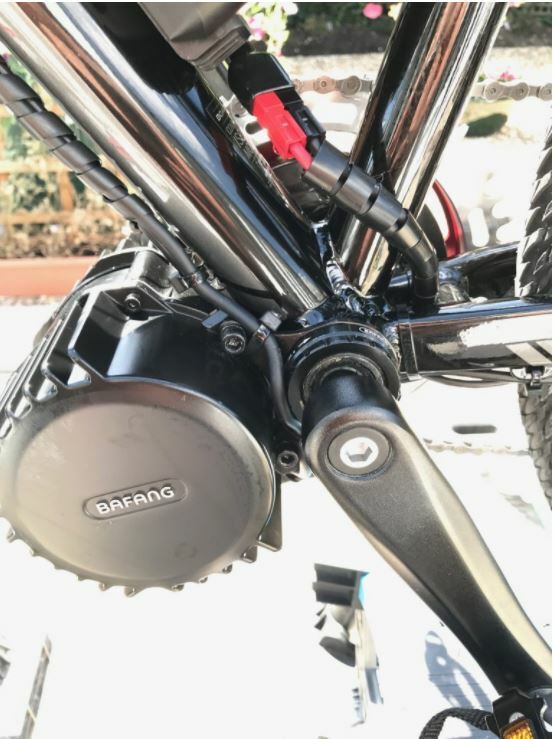 This mid drive provides powerful ebike performance meanwhile keeps the original pedaling in comfort. With an integrated speed sensor, this mid-drive motor is compatible with standard bikes. 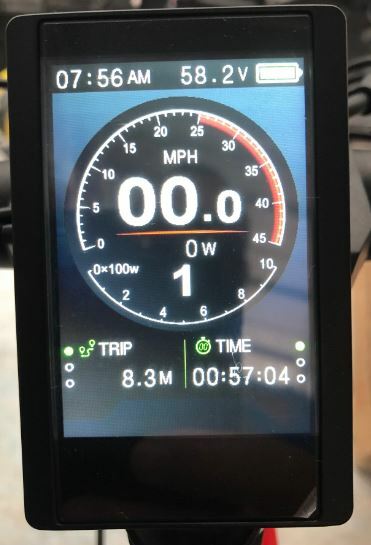 Throttle only use in PAS mode “0” is available allowing to rest without pedaling and a further 9 levels available with “on the fly” switching. 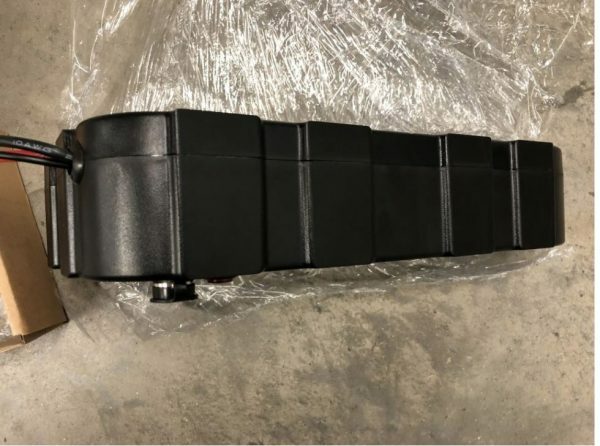 Weight of BBSHD 52v 1500watt (peak) motor: 5.8kg. 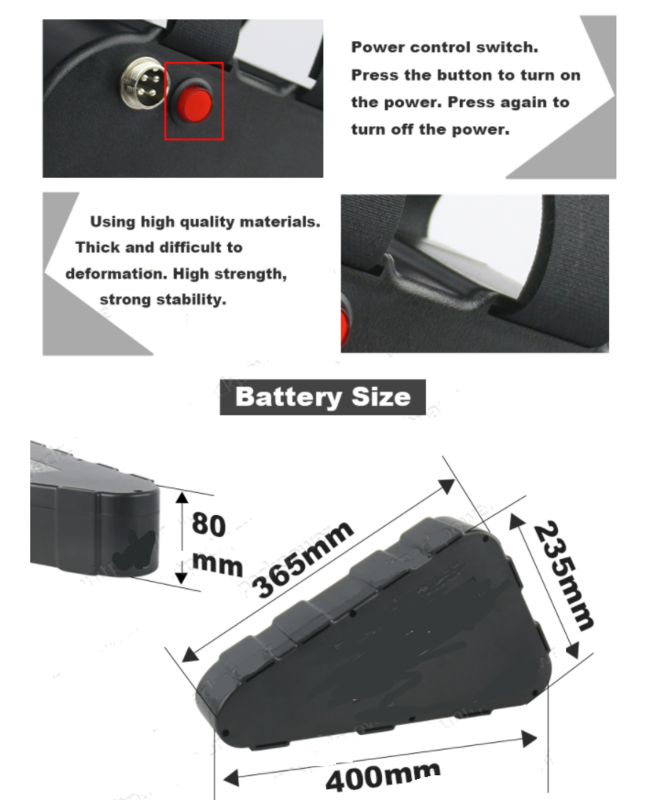 This is the very best performance verseu cost battery. 14s8p 20 Ah battery containing 112 branded factory Lithium Ion 18650 cells, 60A BMS (battery management system) with 3AH UK charger. 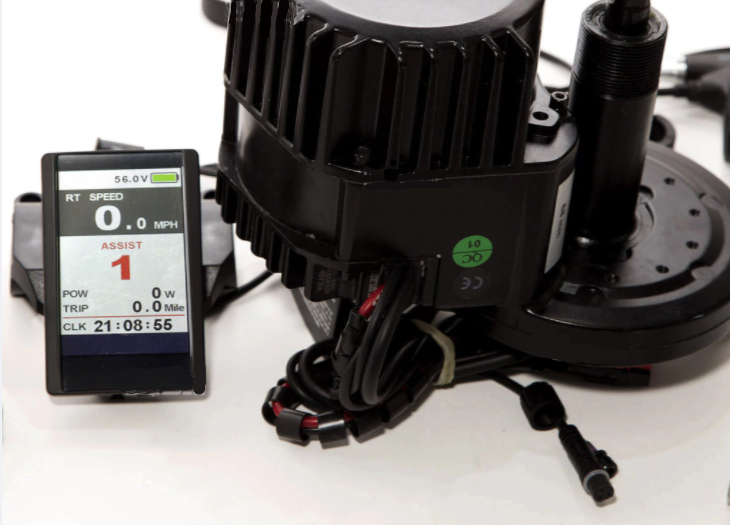 60 Amp Nominal and 80Amp Maximum BMS. 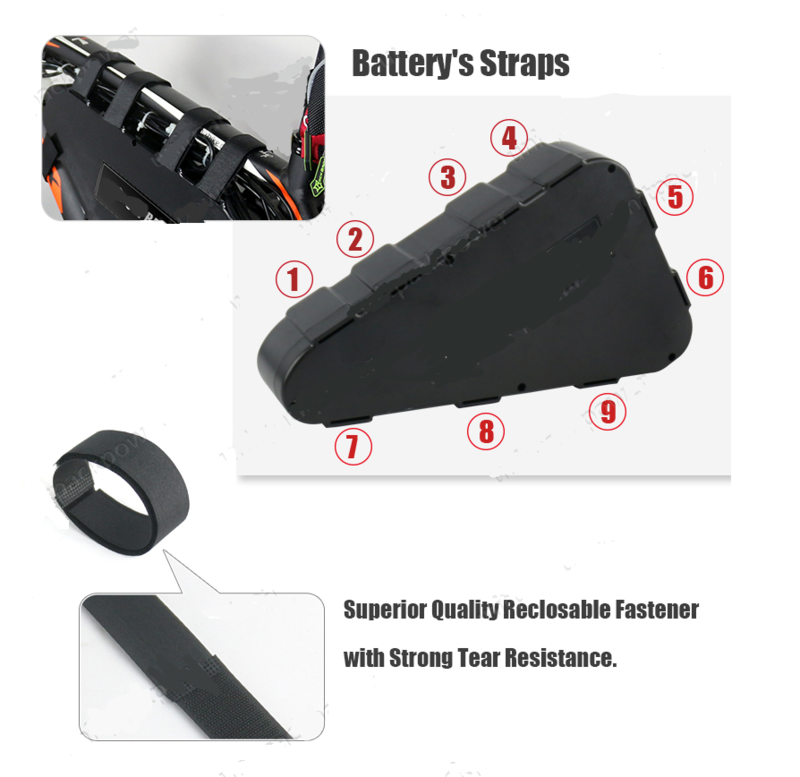 Designed to fit within the triangle using a choice of 9 velcro fastening points.